Polish the chrome and bring your bathing suit! The Mississippi Coast Coliseum and Convention Center will be the host to the 2013 Ms. State H.O.G. 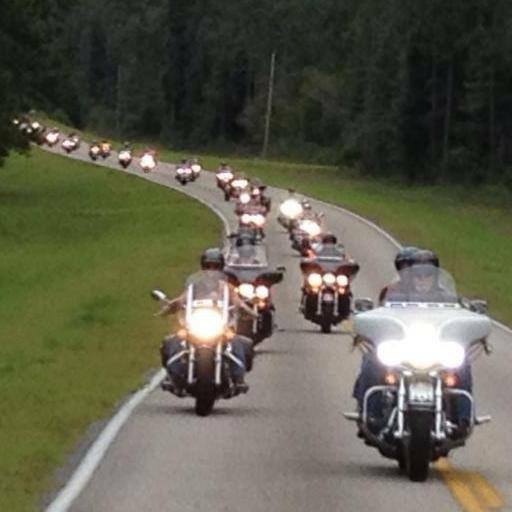 Rally, affectionately known as the Great Southern HOG Rally, on September 19th, 20th and 21st. Ride the Southern Edge of Freedom as you cruise down the beach along the Mississippi Sound that leads to the Gulf of Mexico. From vendors to a Pirates Beach Bonfire and a poker run to a 26 mile “Bridge to Bridge” ride will delight Harley Owners from all around the nation. Registration for all three days is only $40 and includes all events except the special dinner that will be held Saturday night. Registration ends at 4 p.m. Saturday. Steve Carrington, Rally Coordinator, says, “This is a Harley event specifically for members of the National Harley Owners Group. However, spectators will be allowed in to the vendor area to view, shop and purchase motorcycle gear, t-shirts and other Harley related items from vendors. The rally will kick off Thursday the 19th with registration and opening ceremonies beginning at noon until 7 p.m. Harley owners can stay at the events host hotel, Quality Inn, right next to the coliseum. A meet and greet pool gathering at the hotel pool will be from 2 p.m. to 5 p.m. Everything is within walking distance from the hotel and beach view rooms are still available. A guided 30 minute “get acquainted to the coast” ride will begin at 4 p.m.
At 7 p.m. on Thursday, registered attendees may go to a special Pirates Beach Party complete with a huge bonfire and entertainment with beverages available. Dress in your best pirate attire and you may win a door prize! Friday will be filled with food, entertainment and non-competitive bike games. A bike show will be bringing out some of the most beautiful bikes around to compete for prizes and bragging rights. Various rides are planned for Friday so make sure to pick up a schedule at registration. Don’t miss the Rochelle Harper Band from 7 p.m. to 10 p.m.
Saturday promises to be a rousing day of fun in and out of the sun as Mississippi Coast Harley Davidson sponsors dealership activities all day. A Parade of Flags ride will begin at the convention center and travel to the Golden Nugget Biloxi Casino and then on to the 26 mile, escorted, Bridge to Bridge ride that will run from the Biloxi-Ocean Springs Bridge to the Bay St. Louis Bridge. For more information, please go to the rally website at www.msstatehogrally.com or call rally officials at 228-388-5791. You may also contact Steve Carrington at 228-324-8601. Vendors may contact Mike Uli, Vendor Coordinator at 318-220-6040 or by email at pmuli@bellsouth.net. If you encounter one of these Harley owners while they’re in town, let them know just how wonderful it is to live and ride by the untamed, open water. We wish all the bikers a safe and happy stay here during the rally. It is our sincerest wish that all the local and visiting H.O.G. members experience the greatest southern ride of their life!